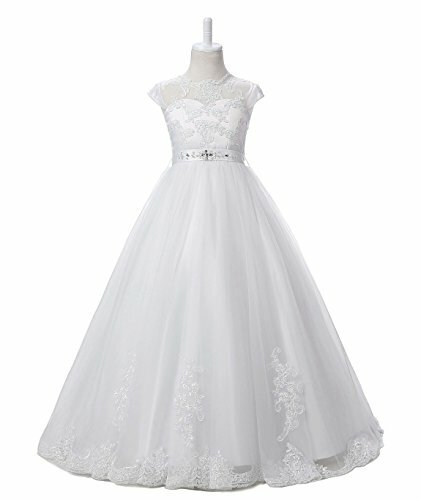 Nina Flower Girls Pageant First Communion Scoop Lace Dress White 14 | What Should I Say? Every dress of our store is made by professional tailors one by one. We provide customized to fit your figure better.please contact us for more details. If you have any question,pls feel free to contact us any time. The color of the sash available customized,please contact us for more details. Please choose size/color from the image which listing on the left. We provide cuatom made,pls send us your baby's measurements(bust,waist,hips,shoulder to floor). If you have any question,pls contact us any time.